Rent a boat, stock up on your equipment or benefit from our special offers and packages. Ödevata Fish Camp is a meeting point for anglers, and we bring you tips and service that improve your fishing luck! 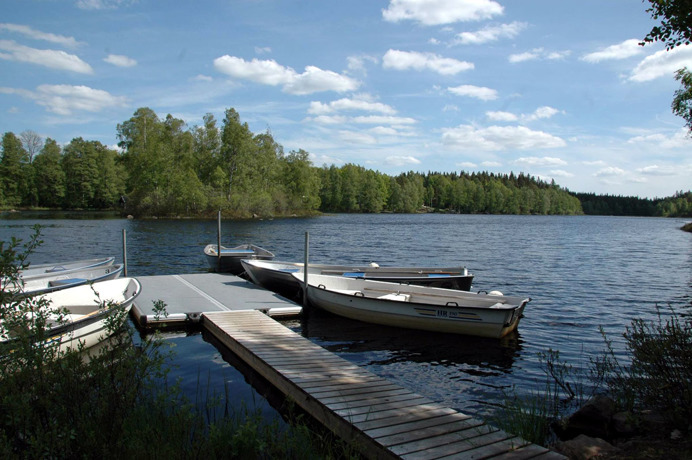 At our shop you'll find the reception where you can buy fishing licenses for several lakes in the region. Along with our rental boats comes a bucket with anchor, rope and ladle. We provide you with information and maps that point you towards a succesful fishing day. 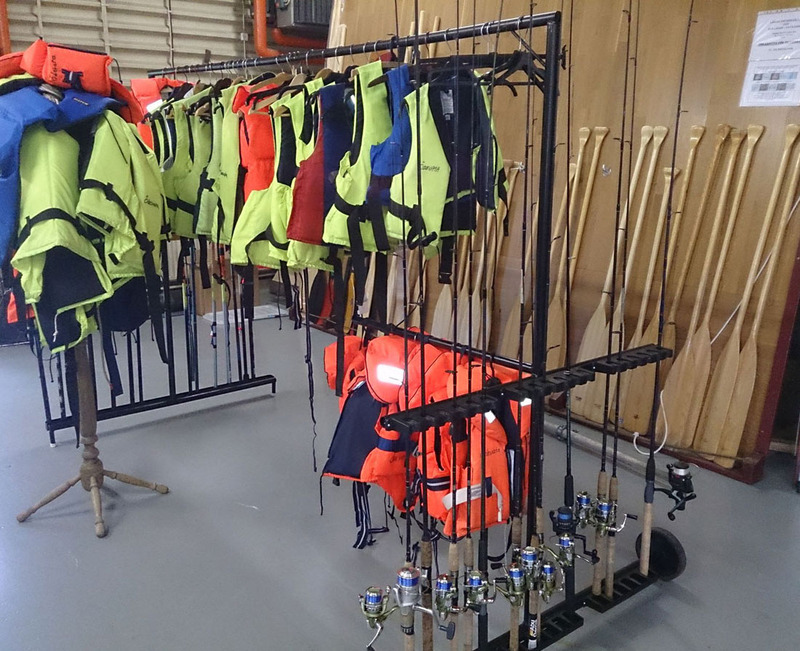 For your safety, take along a life-jacket from us! 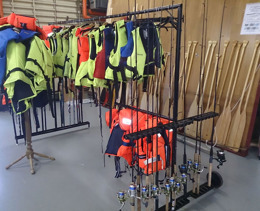 In our shop you can complete or enhance your angling-equipment: Ödevata Fish Camp sells different kinds of fishing and spinning rods, reels, lines, lures, hooks and much more. In summer, you get fresh worms for your fishing rod, and during crayfish season (august/september) we offer special crayfish lure. many well-marked hiking-trails in the woods around the lake. Or rent a bike to get around a bit faster! The shop also houses the reception for our lodging guests. During summer, it is opened daily and you can just step in or ring the doorbell. We love to welcome you even in winter, though we would appreciate that you call or send an e-mail before your arrival.